Within a few breaths, I knew I had found something special. After a few days, I was changing: I had more energy and was less stressed. After a few weeks I felt more alive and empowered. 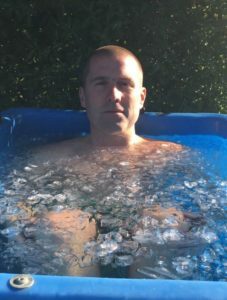 After three months, I was transformed: my health had improved, my mind was clear and I had the energy to leave my old job and dedicate my life to teaching the Wim Hof Method. 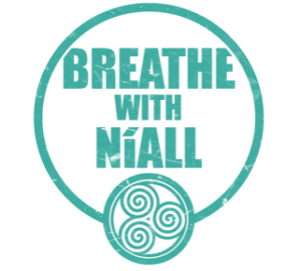 Since then, I have been teaching people all over Ireland how to use nature (our breath and the cold) to make themselves healthier, happier and stronger. Before that, I spent decades as a wild herbalist, a traditional Irish healer and an international basketball player. 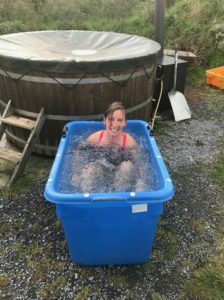 Exploring the Wim Hof Method at the Cliffs of Moher Retreat will be a special experience. Hope to see you there. I’m a Wim Hof Method Instructor in training, a daily sea-swimmer, a yoga teacher, health coach and author. While on a search for body-mind health, I came across the Wim Hof Method after experiencing the benefits of swimming in the cold Atlantic ocean every day from my local beach in Ireland. I have been hooked since. The breathing practices are a perfect compliment to my yoga experience and with daily cold exposure I am stronger, happier and have more energy than ever. I am excited to share this practice with you at my Retreat on the West Coast of Ireland. For more on me, please visit my yoga bio page.